Health and Happiness: The First Principle of a Bioregional Lifestyle — CascadiaNow! This post is the first in a series exploring ten principles of bioregional living and spotlighting a fellow Cascadian who embodies each principle. Health and Happiness: What Is It? When health is achieved in each area of one’s life, happiness is sure to be found as well. Health and happiness include more than just the limited idea of being in good shape, or having a certain amount of money. In order to achieve both requires a level of well being in various aspects of an individual’s life. We all know that one person who is rolling in money and has all the luxuries one could dream of, however, they are stressed from overwork and are suffering in their personal relationships. Happy or healthy? Not likely. What Does This Have to do With Bioregionalism? Escape and Beauty: Enjoying our environment provides a sense of oneness with nature. Meditation and spending time in nature has been shown to reduce stress and increase happiness. Social Ties: Working with others on maintaining the health of the environment has been shown to increase social bonds and relationships within the community. Healthy relationships increase happiness and health in an individual. Mental Health: Many studies have proven that individuals who spend more time in nature have lower levels of cortisol, less stress, and less depression. Economic: Healthy environments are shown to increase property value, provide business benefits, and have lower levels of poverty. Physical Health: It has been proven that access to nature increases longevity, and helps people recover from sickness. Also, a healthy environment and atmosphere prevents many illnesses caused by air pollution and unclean drinking water. 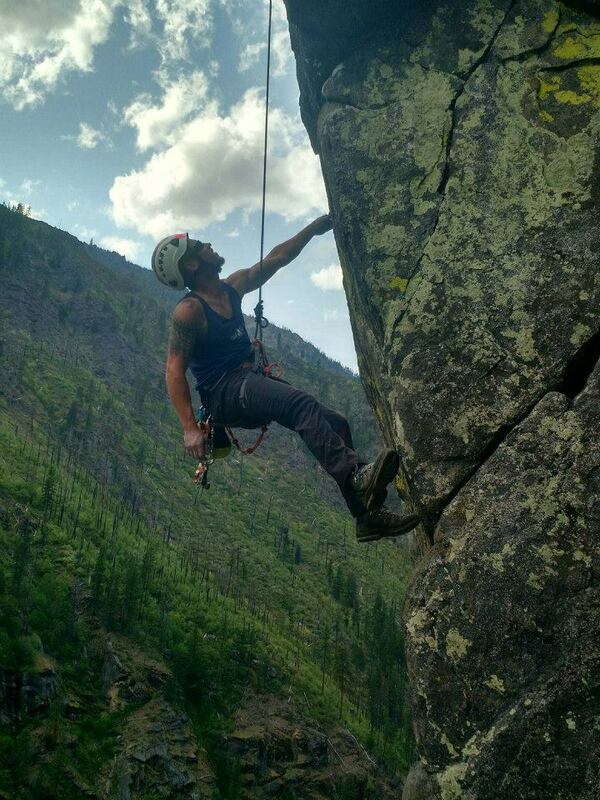 Rock-climbing enthusiast and fellow Cascadian, Dallin Wilson, demonstrates how we can all increase our health and happiness by living a bioregional lifestyle. He has been climbing for as long as he can remember. Wilson enjoys the physical and mental health of connecting with the great outdoors in such a thrilling way. “There is something so pure about climbing. Something so simple yet epic: putting a human against nature in such a dramatic way,” Wilson said. Living off the grid is something Wilson tries to do for his recreational activities, and he has seen the benefits in his well-being. In addition, he practices sustainable living by shopping at local markets, implementing waste reduction techniques, and is even planning his future home with his fiancée to be based on rammed earth, earth bag and many other alternative building style homes which they hope to begin building in 3-5 years. Stay tuned for the second principle of bioregional living: Equity and Local Economy by Mariah Edwards-Heflin.